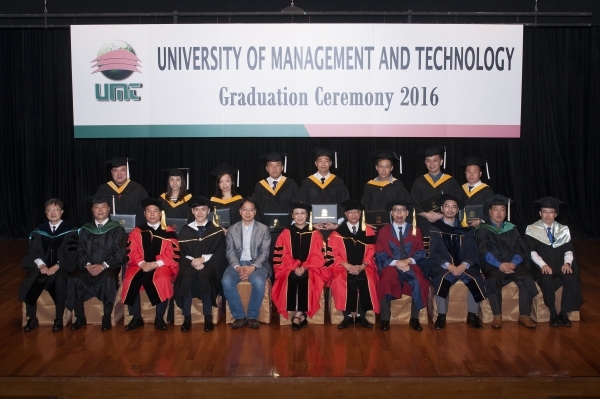 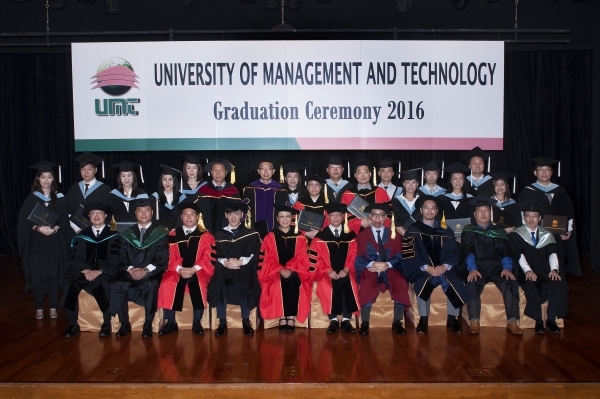 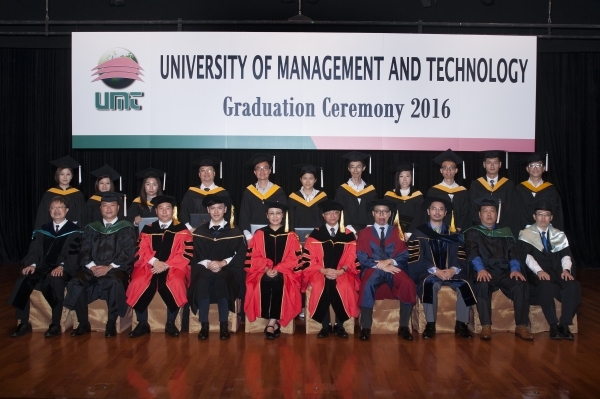 The University of Management and Technology held its 2016 Hong Kong graduation ceremony on July 24 at the Chiang Chen Studio Theatre in Hong Kong Polytechnic University. 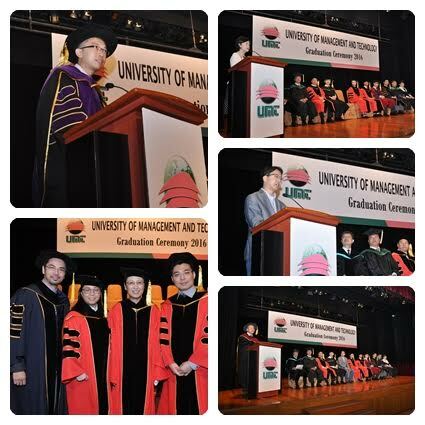 More than 500 participants from China, Hong Kong, Macau and Singapore attended. 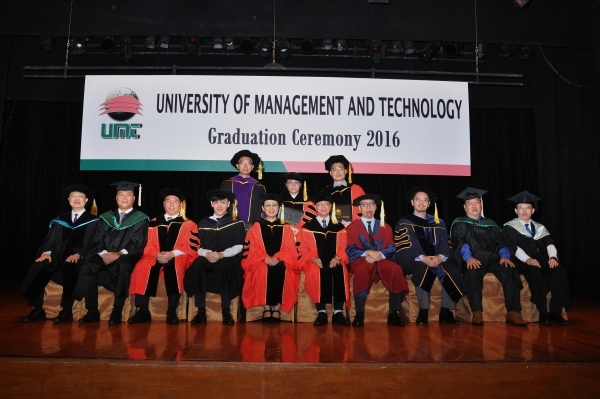 During the ceremony, graduate representatives, Dr. Tsun Lok (Eric) Kwong and Dr. Kam Wing (Carey) Cheung shared their personal stories. 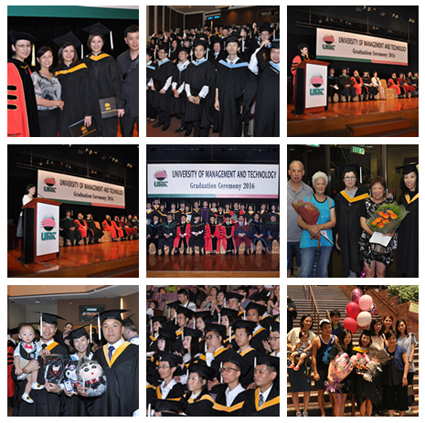 Our honorable guest speakers, Hon Mrs Regina Ip, Hon Charles Peter Mok and Dr. Cheung Kwong Hung also delivered speeches. 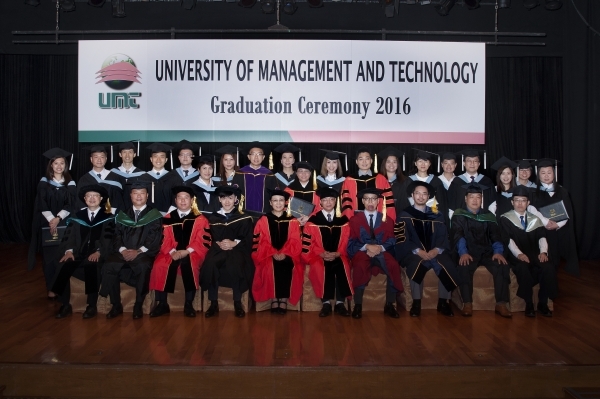 Dr. Tsun Lok (Eric) Kwong used his stories to encourage fellow graduates to embrace the lifelong learning mindset in order to stay competitive. 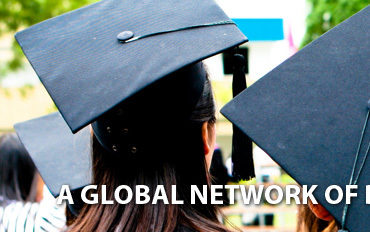 By constantly upgrading knowledge and skills, an individual can always be prepared for the arrival of new opportunities or challenges and sail smoothly through any transitions. 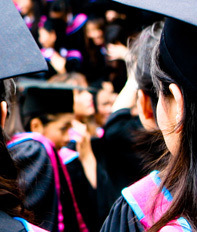 In September, he will begin a new teaching position as an Assistant Professor. 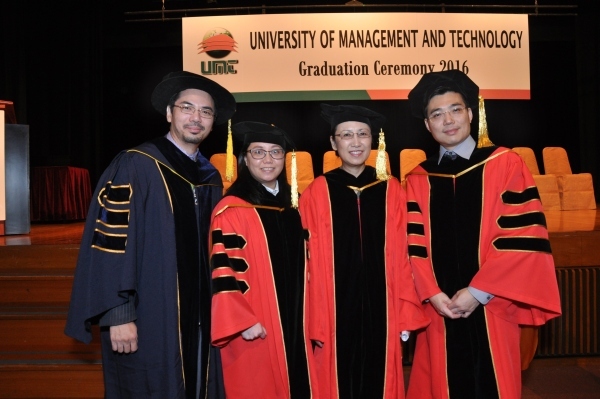 Dr. Kam Wing (Carey) Cheung missed the opportunity of finishing the full time doctoral program in the United States, but had a dream that it should be fulfilled in his life. 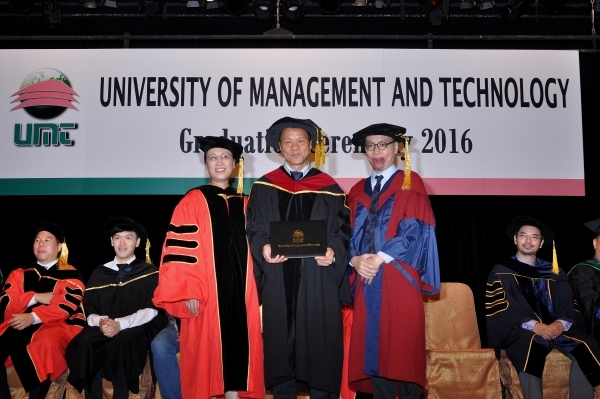 In 2013, he started pursuing a UMT DBA while still working as a full time Operation Manager in Dongguan. 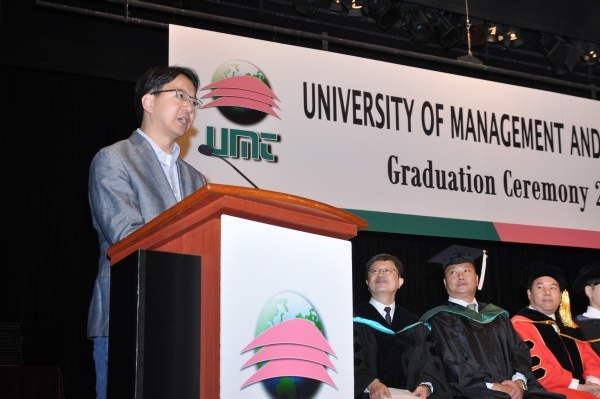 He used his story to encourage the graduates: "As long as there is an idea, everything can be achieved." 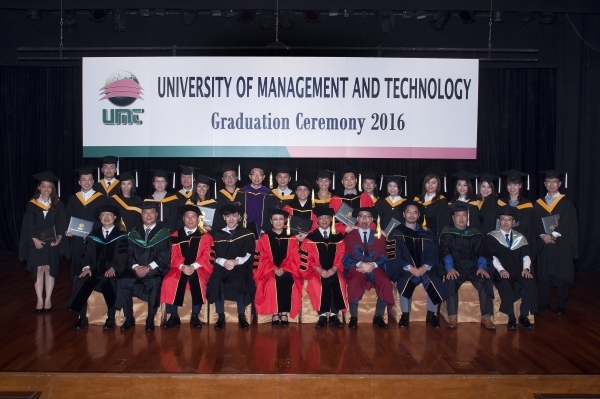 Dr. Cheung Kwong Hung, the founding Chairman of UMT HK Alumni Association (UMTHKAA), thanked the UMT community for giving him the opportunity to start the UMTHKAA. 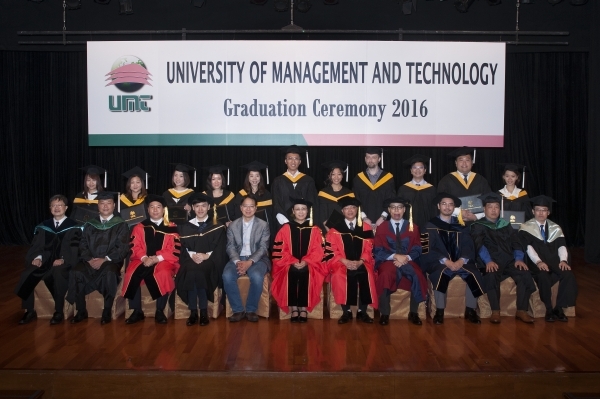 He encouraged graduates to join the UMTHKAA network in order to pursue more opportunities in the near future. 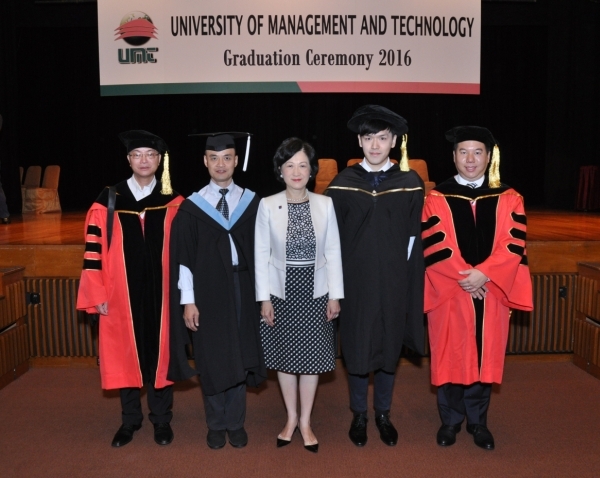 Hon Mrs Regina Ip, Hong Kong legislative councilor, shared her learning in the past and her working experience in the Hong Kong Government. 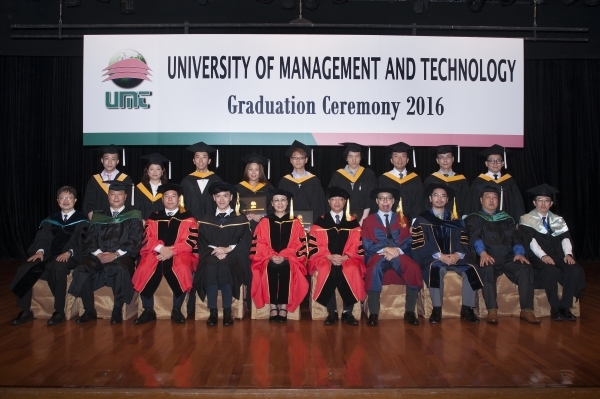 She encouraged the participants and UMT graduates to explore new opportunities and strengthen their network. 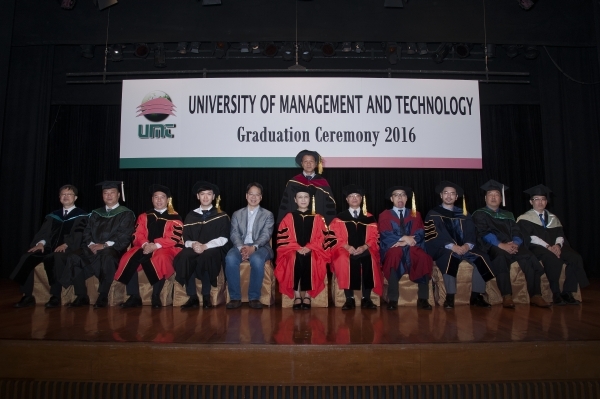 Hon Charles Peter Mok, Hong Kong legislative councilor, explained that there are many challenges in management and technology. 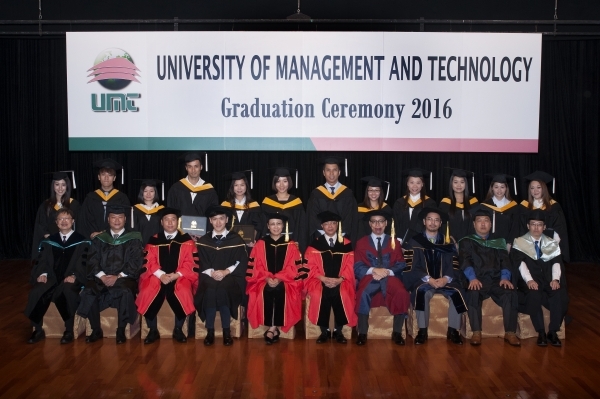 He used his stories to inspire UMT graduates to build up management skills with the support of new technology. 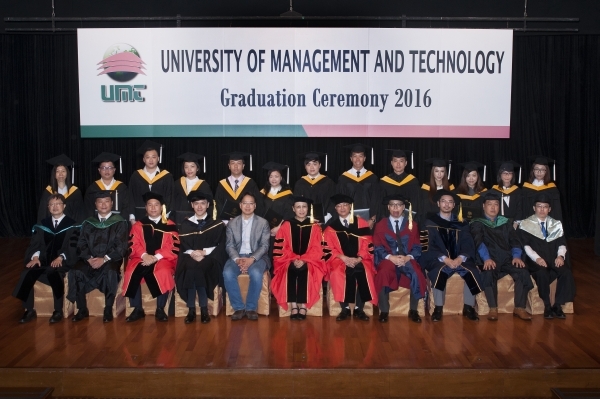 Dr. Clive Tsang, the Vice Chairman of UMT HK Alumni Association, represented the UMTHKAA and shared some of the interesting activities that were organized by UMTHKAA in the past year. 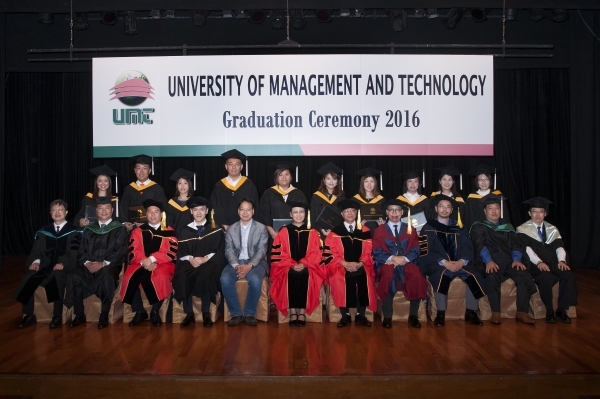 He invited all UMT alumni to participate in upcoming activities. 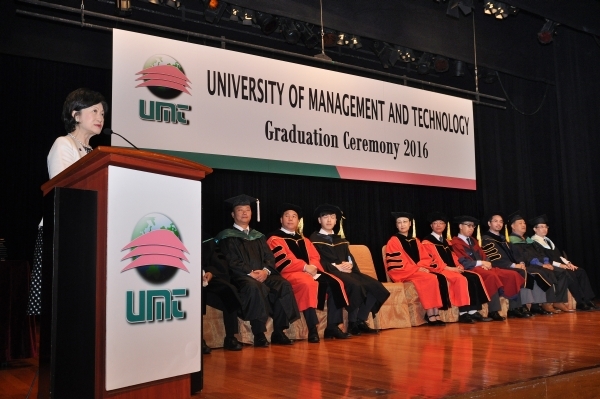 Dr. Chen, UMT's founder and President, reviewed the university's achievements over the past 18 years since it was founded in 1998. 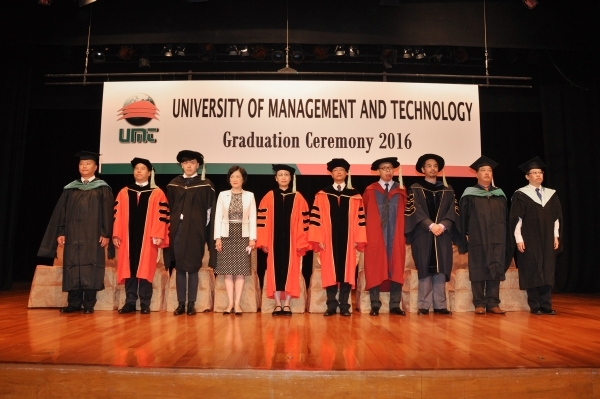 She also announced UMT's intent to develop a strong UMT alumni community, which will enable graduates to network professionally, socially, and educationally. 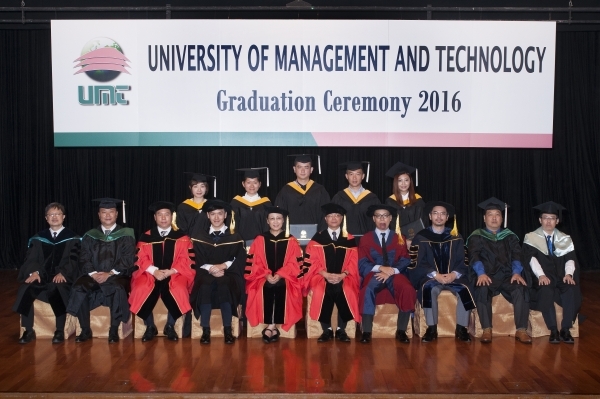 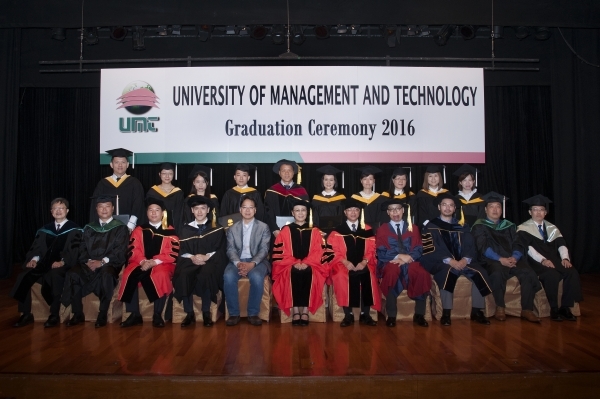 Speeches of the graduate representatives can be read at: http://www.umt.edu.hk/chi/student02_16a.php. 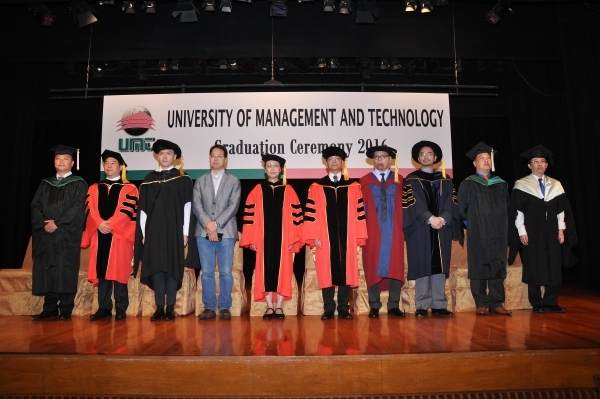 Since its establishment in 1998, 19,087 students coming from all 50 states, the District of Columbia, 4 US territories, the US Military around the world, and 77 countries have enrolled in UMT degree programs. 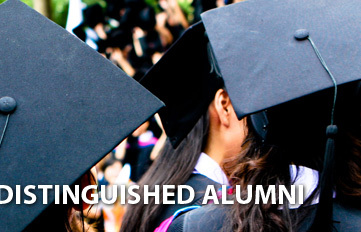 A total of 10,710 have earned degrees. 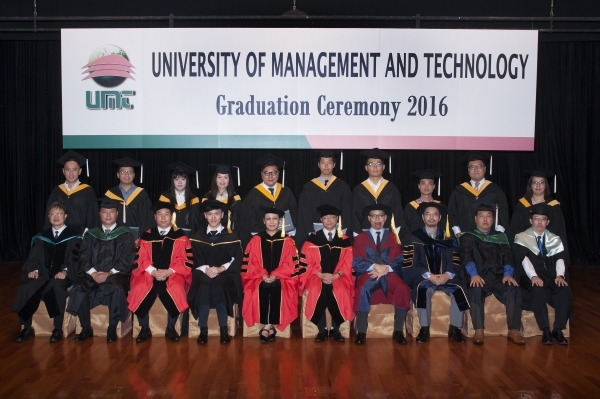 If you would like to have more information about our BBA, MBA and DBA program, please feel free to contact us at 27911155.